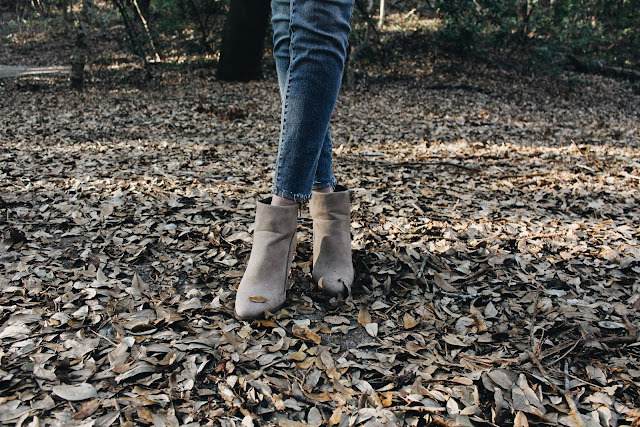 If you aren't pregnant, you may be thinking that this post isn't for you. Lo and behold, it very well could be. 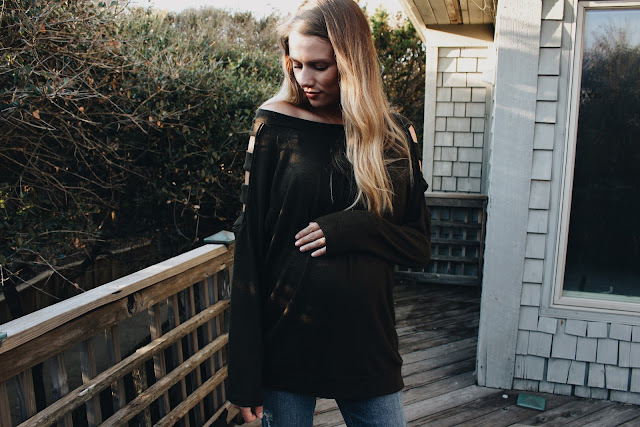 This particular brand also makes non maternity, plus size/plus size maternity and recently dropped a baby/kids clothing line (it's sooo good too) - so, check it out! 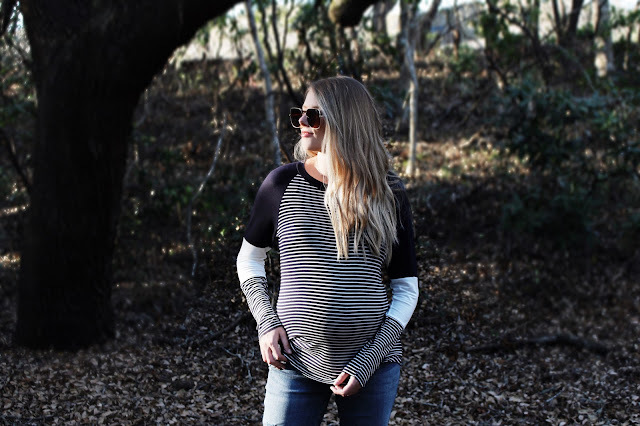 I recently partnered with PinkBlush to try a couple of their fall maternity items. I absolutely love both pieces they sent. 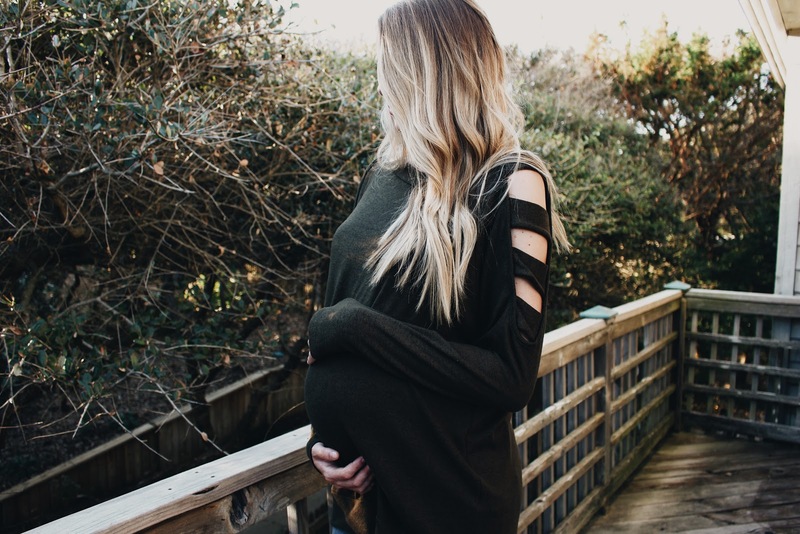 First up was this Olive Ladder Cut Maternity Sweater. I'm wearing a size small and it does run a little larger which is why I ordered a small. It is supposed to have the oversized look and is supposed to be long. It's really comfortable and has plenty of room for the bump to grow! The color online looks a little brown but in reality it's more of an olive color. 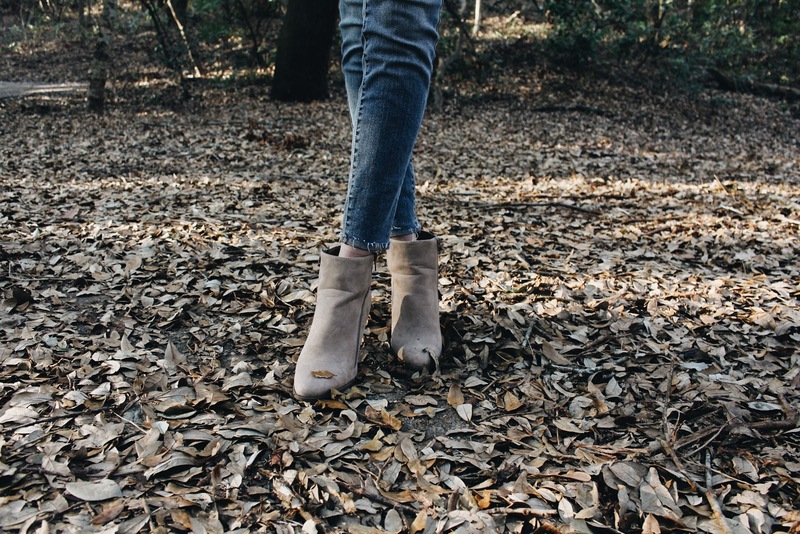 Shop it here. 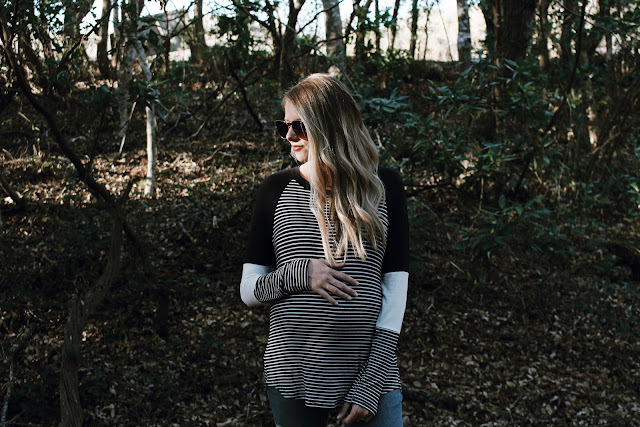 You can shop more trendy fall maternity items here. Next up is this Navy Striped Colorblock Long Sleeve Maternity top. Shop it here. I'm wearing a small, I would normally wear a medium so size down. I'm LOVING the colorblock trend for fall and this shirt is super cozy. The length is perfect, as well as the arm length and also has plenty of room for the bump to grow. Pink blush uses a stretchy material suitable for bumps. 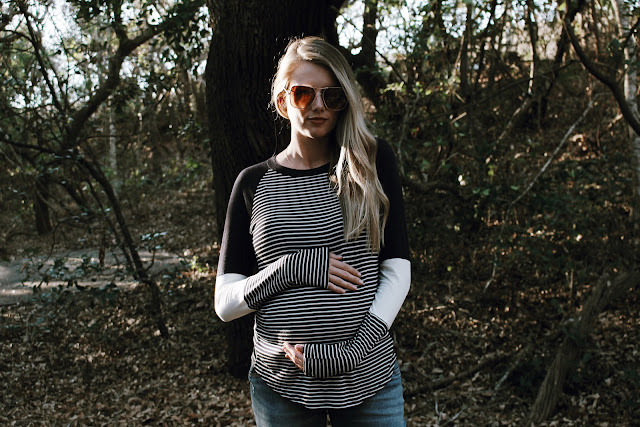 Shop other long sleeve fall maternity tops here. These photos were taken at 31 weeks. Baby girl is growing, growing, growing like a weed. So glad that I found a maternity line to help me feel like I don't only have to wear sweats and Travis' t shirts the remainder of my pregnancy! I also ordered this dress for a maternity shoot that I have coming up. It's absolutely gorgeous! I can't wait to show you guys!